« Part 1: Why Scotland doesn’t actually exist, and hasn’t since 1707. The question that we seek to address in this post is the possibilities of how Scotland and the rest of the United Kingdom will be separated. At first this seems a fairly straight forward answer; Scotland would become an independent nation and leave the United Kingdom. The problem is that this is not only a very simplistic way of looking at the separation but also one that would prejudice Scotland’s development as a sovereign nation in its own right. Indeed, it is this argument and this ideal that is championed by the ‘Better Together’ campaign for the sole purpose of making Scotland look weak. It shows Scotland to be in a position of no power pending independence and also muddies the waters so much, that independence appears to be more trouble than it is worth. However, the argument is not without merit. Indeed, you can paint a very strong argument that indeed this is the case; so we will look at the evidence that weighs in favour of this type of separation as well as looking at ways in which it is not so straight forward, and how Scotland might be in a position of real power in determining their own future. Overall, there are roughly three theories that we will look at in this piece although admittedly 2 of these theories tend to work very much in tandem. 1) Scotland will become an independent sovereign nation and the rest of the United Kingdom will go on as normal, with only a slight change in population and land mass. 2) Scotland would become an independent sovereign nation, however, in doing so this would ultimately have the same effect on the Rest of the United Kingdom to become new states leaving everyone in the same international position. 3) The only way for Scotland to become independent is to repeal the Acts of Union as we alluded to in Part 1. In doing so, both Scotland and England would revert back to the same constitutional position that they were in pre- 1707. 1) If we are to consider this first option in relative detail we must look at what else has happened internationally in circumstances that have some similarity to the break-up of the United Kingdom. Before we do, it is probably best to state that in my opinion, the Scottish example is unique in international law. As much as many of the examples below can be used to demonstrate and paint a picture of worldwide independence issues there is no example with clear and precise precedent to the Scotland issue; which as I say, has a very sui generis nature. The first example we can look at is the break- up of the Ottoman Empire. The Ottoman Empire was dissolved in the aftermath of World War 1 and created, amongst others, Turkey, the Balkans and the Middle East. Now, to stray for a Geographical History lesson all that applies to us here is that when this one United Nation broke up, Turkey was seen to be the surviving nation of the former Empire, with the other nations formed becoming new states. There is legal standing to pertain that this is actually what happened, the Ottoman Debt Arbitration (1925) 3 ILR 42 and Roselius & Co v Karsten & Turkish Republic (1926) 3 ILR 35, are clear indicators of this decision. The importance of this decision is that when there is State identity between two (or more) entities, it means that there is a “continuing” international legal personality under international law for the continuing state. In this case, issues of State succession do not arise. There is a presumption in favour of continuity under international law. Thus, a State will continue to exist unless sufficient evidence demonstrates its extinction. If this is the case, and the break-up of the Ottoman Empire is to be followed in relation to the break-up of the United Kingdom then we would have to assume that England and the rest of the United Kingdom would continue rather unaltered and maintain the same International recognition with Scotland becoming a new state with none of the previous standing of the United Kingdom. It would effectively be like a new-born, with no international relationships already in place and no understanding or treaties between it and any other state. This is what happened with Turkey, the newly developed Turkey continued with the International recognition and obligations of the Ottoman Empire; with the new nations becoming new legal entities. The reason that this happened, and the basis of the decision making in this case, is particularly relevant to the discussion; because it lays down a few basic principles that are regularly followed in issues of state secession. Rule 1: Territory: It is generally recognized that when a State loses part of its territory, this does not affect its legal personality. In other words, it does not affect its own identity as a State under international law. For instance, France did not cease to exist when the territory of Alsace-Lorraine was transferred to Germany in 1871. From the very substantial diminution of territory suffered by the Ottoman Empire, it simply cannot be concluded that Turkey is a new State under international law. Rule 2: Change of government. Under international law, a change of Government does not in itself amount to the creation of a new State. Examples of this principle include the 1917 Revolution in Russia and the 1979 Revolution in Iran which were both considered as changes of Governments and not the creating of a new State. It is true that Turkey went through fundamental changes after its creation in 1923, including the replacement of the Monarchy by a Republic as well as other far-reaching changes affecting its society more globally. But, the international personality of a State is simply not affected by a change in Government, no matter how radical that change is. Finally, name changes do not per se have any impact on a State’s continuous international personality. Thus, it cannot be concluded that Turkey is a new State merely because in 1923 the name of the country was changed from the “Ottoman Empire” to the “Republic of Turkey”. In sum, changes related to the territory of a State, to its government and even its name does not affect its identity. If we relate this to the United Kingdom; Scotland leaving would or should have little impact on England and the Rest of the United Kingdom remaining one. The second example with relevance to the Scotland situation is the Singapore separation from Malaysia in 1965. In this case, Malaysia continued and Singapore became a new state (SC Res 213 (1965)). However, unlike the Turkey situation the devil is perhaps in the detail of this example. In this case, there was an agreement as to what would happen to the two states after a separation and indeed this separation agreement stated, “an independent and sovereign state and nation separate from and independent of Malaysia and so recognised by the Government of Malaysia”. This assumed the continuity of Malaysia; however mainly due to an agreement between both states. This adds a new dimension to our argument. In the Ottoman example we seen that Turkey was presumed to continue the legal status of the Empire based on criteria, however, in this case it was by agreement. Again, if we relate that back to the United Kingdom then it could be argued that the United Kingdom would continue in its normal fashion without Scotland so long as there is no international objection by Scotland to this being the case. Could an agreement even be reached for this to be the case? It would seem absurd to me for Scotland to allow this presumption to take place unchallenged as there is much from the current United Kingdom framework that would benefit an Independent Scotland. A further and more recent example is the break-up of Serbia & Montenegro in 2006. The Union of both countries was actually governed by a constitutional charter that was adopted in 2002, within which, Article 60 expressly dealt with ‘Breaking away from the state union’ and this process included a referendum similar to the Scottish example (Constitutional Charter of the State Union of Serbia + Montenegro). This was accepted all round, and a fairly clear cut situation because it followed the traditional guidelines of the smaller nation becoming the new state. Again, this would appear to back-up the idea that Scotland would become a new state upon independence and would not continue the legal personality, instead the United Kingdom would continue in its current role. The only question that I would cast over this would be what direction matters would have taken had Serbia invoked a referendum rather than Montenegro as this would ideally have led to Montenegro continuing the legal personality rather than Serbia due to the Constitutional Charter between both states; however it would go against the grain of the continuing nation being the larger. There are many examples that we could consider, and others have in far more detail than I, but the closest to home example in relation to the United Kingdom is that of the Independence of Ireland in 1922. Due to its proximity and the fact that it is effectively dealing with the break-up from the same entity it is the most suitable precedent to look at. When Ireland left the United Kingdom to become the Free State of Ireland it did not break the continuity of the United Kingdom. (Agreement for a treaty between Great Britain and Ireland of 6th December 1921. Again though, there was an agreement in place for this to be the case. The nature of the split was also different. Without going into the details of the Anglo-Irish Treaty, Ireland did agree to become its own Republic although it is interesting to note that its independence did not happen overnight. The Irish Free State continued using Sterling as its currency – a subject we will go into much later. Scotland is in a much different position to that of Ireland. As much as there is a prima-facie similarity in the ramifications of independence it could not be said that Scotland and Ireland are in anywhere near the same position to their independence from the United Kingdom. However, once again, the pattern continues; the smaller nation becomes a new state. This precedent cannot be ignored when considering Scotland is the smaller nation of the United Kingdom. There seems to be a pattern that the larger state always continues the state with the largest population and territory continues with the smaller breakaway state being the new state. In this particular case the United Kingdom would still maintain 92% of the population and 2/3rd’s of the United Kingdom Territory should Scotland become independent. This has distinct parallels to the Ireland situation. It would therefore be fair to argue that Scotland would become a new state and the remainder of the United Kingdom would go on with no real changes to its constitution or obligations, just a change in territory and population. Indeed, this is the view of the UK Government and expressly stated by the Foreign and Commonwealth Office, who say, “Overwhelming weight of International Precedent suggests that U.K. would continue to exercise the existing UK’s international rights and Obligations, and that an independent Scotland would be a new state” (Foreign Affairs Committee Inquiry into the Foreign policy Implications of and for a separate Scotland, 24th September 2012 S.9). 2. Much of this argument can hark back to the debate in Part 1 on whether the Acts of Union abolished Scotland and incorporated it into part of England or if England was also abolished and Great Britain became one unitary state. The first argument we looked at involved states separating into different entities with one state continuing the legal personality of the original. However, Scotland and the rest of the United Kingdom are completely different to this. As we have already stated, there is clear evidence that both Scotland and England were separate and sovereign states in their own standing before the Acts of Union in 1707. Therefore, this would imply that there is no given right for ANY of those nations to continue the recognition and obligations of the United Kingdom. In this situation, we have a strong argument against the first ideal championed by the Better Together or NO campaigners. We have one international example of this happening before, however, as we will discuss, the precedent is not particularly strong. Upon the break-up of Czechoslovakia; Czech Republic and Slovakia both became new states (Scharf MP, “Musical Chairs: The Dissolution of states and membership in the United Nations” (1995) 28 Cornell ILJ 29. The problem with this example is that the formation of two new states stemmed from both states agreeing to be so, no state claimed to continue unlike what may be the argument from the United Kingdom towards Scotland. This shows that there is obvious importance on the claim; if no agreement had been made here then Czech Republic would have arguably continued the international recognition of Czechoslovakia and Slovakia would have become a new state, because Czech Republic had 66% of Population, 62% of territory and 71% of Economic resources. (Williams PR, “State succession and the international financial institutions: Political criteria v protection of outstanding financial obligations “(1994) 43 ICLQ 776. What the example also shows is that, even although there was an agreement in place it is possible for an internationally recognised entity such as the United Kingdom to cease to exist altogether. An Agreement appears to be paramount in this case, and it is unlikely that the U.K. would agree to such dissolution. It could also be argued that the U.K. would not be able to enter into such an agreement as it would need a mandate from the U.K. people to become a new state and even if this was achieved it would create difficulty regarding automatic membership to key international organisations such as NATO or the EU for themselves, although these are subjects that will be discussed in much greater detail later on. In order to define that this is indeed a viable option we need to look at the details and again, the unique nature of Scottish independence with regard other international examples. While the remainder of the United Kingdom would be the larger nation, the fundamental premise of Scottish independence is to regain the sovereignty of pre-1707. In this case the break up would then be viewed as two successor states of equal legitimacy. It would be the continuation of two states separated once again and a concept that would be easy to grasp for international jurists as it rests upon the history of the United Kingdom. If the UK Government wishes to pursue their theory of the UK being continuator and Scotland as new state then they could also address the practicalities of such a matter to accommodate the unique situation, and implement a transition plan where there is alternative means for Scotland to sustain and international recognition. As we have said many times now, the problem lays in the fact that Scotland has historical sovereignty whereas other examples do not have that tie. If the U.K. is the continuator state then on what legal basis would Scotland be obligated to assume any significant level of United Kingdom liabilities if the remainder of the United Kingdom is the continuator state? Certainly no basis for establishing an obligation to share financial liabilities! (Again, a subject we will approach in much further detail later on). The argument rests on the fact that both parties would need to negotiate between themselves to sustain any credibility in their claims and to meet their own ends. In other words, the UK assertion that Scotland would be a new state at this time could be seen solely as a deterrent to independence by making it look that Independence would be such a massive upheaval and a large undertaking that it is not worth the hassle. However, should a YES vote be returned, then I would assume this position would change as the argument, in my opinion, cannot be concluded that Scotland would be a new nation at all and that if it is, then England’s status would also be under question as party to the United Kingdom. 3. The third option, although related closely to option 2 is that there would be a Reversion to Prior 1707 for Scotland and remainder of United Kingdom. Although already touched on above, this may seem like a very straight forward way of thinking; however the premise of self-determination is to overcome such rigid presumptions on highly principled and contemporary grounds of legal and political theory. In truth, none of these options could really be seen as concrete and we need to look beyond conventional reasoning. The unique character of Scotland derives from its past sovereignty reasserting itself in a modern application, but 300 years is a long time. Also: “Would both inherit the other treaty rights and obligations of the United Kingdom and that includes membership of the European Community” (Scott P, “Scotland in Europe: Dialogue with a sceptical Friend (1992) P.41-41. This is a rather romantic notion, and although I would have to say that it is far from my place to debunk this theory my argument would be that a reversion to pre-1707 would fail to incorporate this notion of ‘membership of the European Community’, as it did not exist pre-1707. However, if this were the case then it would go against our previous argument in Part 1 that Scotland was extinguished by the Acts of Union either because Great Britain became a new state or because Scotland was incorporated into England. Hence why I am not sure this theory has much weight. One way of debunking this theory would be to cite Article 1 of Acts of Union which states that “England and Scotland shall forever after be united into one kingdom” – This would leave no room for reversion. However it could also be argued that Acts of union were not actually a treaty: Vienna Convention on the law of Treaties Article 39 “A treaty may be amended by agreement between parties” – This would suggest that that this idea of reversion couldn’t happen if indeed one of the parties or neither of the parties exist, harking back to the argument in Part 1. There would need to be certainty on what the Acts of union actually achieved and as this is not available, or until it was, the reversion argument would have to be considered as dead in the water. The difference between Theory and Practice: Using Treaties to show how Theory does not always have to occur in reality. Before we continue, it is probably right to point out that the Vienna Convention will be alluded to on quite a few occasions. I am not the first, nor will I be the last to use this as a way of backing up ideas regarding Independence. The issue with this authority however is that no one can really be sure if it applies or would have great influence over the United Kingdom who is not one of the 22 state parties where the convention is ratified; those nations being: Bosnia, Croatia, Cyprus, Czech Republic, Dominica, Ecuador, Egypt, Estonia, Ethiopia, Iraq, Liberia, Macedonia, Moldova, Montenegro, Morocco, Saint Vincent and the Grenadines, Serbia, Seychelles, Slovakia, Slovenia, Tunisia, and Ukraine. We must remember that no matter which of the three outcomes above were the most closely negotiated upon independence, the political landscape of Scotland would change. At present Scotland has two parliaments as discussed in Part1.Independence would result in all reserved matters being transferred to Holyrood and the jurisdiction of Westminster would cease to apply to an Independent Scotland. The Vienna Convention would appear to smooth the way for Scotland to adopt the treaty obligations of the United kingdom, however even if the remainder of the United Kingdom maintain that they are the continuing state and Scotland a successor state; there would be nothing to prevent Scotland issuing a unilateral declaration of interpretation of its treaty relations and wait for any objections from other Governments. In other words, Scotland could continue any treaty obligations or other international obligations after independence if it wanted to, and if no one objected to this; then it would be internationally accepted and recognised no matter what the United Kingdom may or may not claim. This however, would require some diplomacy by the Scottish Government prior to any Independence Day. 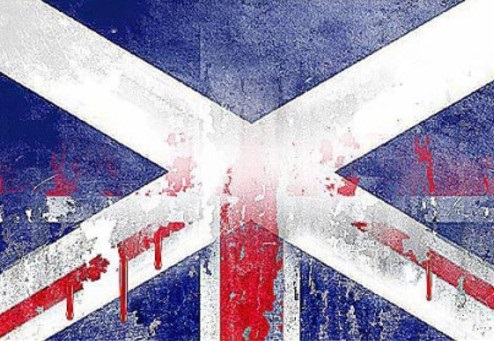 If Scotland was forced by the United Kingdom to adopt a clean slate approach then it could be politically destructive and cause a rift if negotiations are confrontational rather than mutually accepted. It would have to be said that mutual agreement between United Kingdom and Scotland on these matters is more likely, as other international governments would approve of any mutual agreement with regard to any treaties already in place. Overall, it is clear to see that the United Kingdom adopts a continuing state idea, with Scotland becoming new state all of its own. It is important to remember that this is not the only possible effect that Scottish independence could have on the United Kingdom and Scotland’s current framework and no matter the outcome of these theories; there needs to be a practical outcome between the two states. In relation to treaty obligations, it must be remembered that the majority of these have been entered into by the countries as a whole. Theory states that Scotland could be left with a clean state approach, however this can be seen to be impractical on the basis of relations and would not prevent Scotland attempting to adopt the Treaties anyway as stated in the Vienna Convention; and where no other Governments party to the treaties object, there is no issue in International law to the recognition of the treaties or Scotland as a party to them. The one thing that is clear, is that anyone saying Scotland would have to start a fresh by default is way off the mark. In the next part of this we get down to the real issues that need addressed, E.U. membership for example as well at Human Rights and other international factions. This post is again more groundwork to the pressing matters ahead however it is also fairly key,because this matter of independence has never been prescribed as what it actually means. One way i was thinking of this was the matter of Divorce between two persons. A man and wife,for example, may have been married for 30 years, be members of the same golf club and share a joint account. When they get divorced,their marriage folds. It does not mean that either party instantly loses their own golf club membership or that the joint account (and any debts within it) becomes the responsibility of only one party. On a purely simplistic viewpoint, this is not how things would work when two countries separate either. This entry was posted on December 12, 2013 at 16:12 and is filed under Current Issues, Politics. You can subscribe via RSS 2.0 feed to this post's comments.